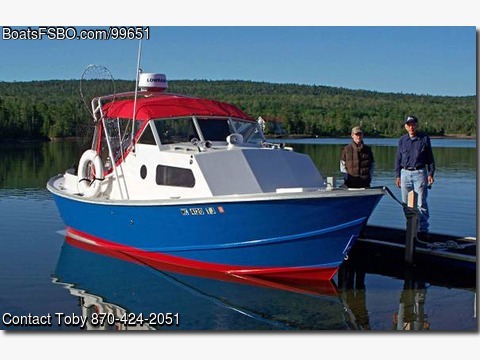 Built for long distance economical cruising on Lake Superior. Power: 34.5hp STW3 Lister Diesel, 3:1 reduction, 21”x 21” four blade prop. A marine survey was done in 2015 and is available.It comes with its own custom trailer and a custom-made dock lift is available at extra cost if desired. Built for saltwater but has only been in fresh water. Boat and trailer $55,000.The boat is presently on Norfork Lake, Mountain Home, AR.